Child psychologists observe that children are most creative when they're at play. The same principle also applies to most adults. With "52 Flower Mandalas: An Adult Coloring Book for Inspiration and Stress Relief" (http://www.amazon.com/52-Flower-Mandalas-Coloring-Inspiration/dp/1682302016/ref=asap_bc?ie=UTF8) , you can return to your inner child ... and play. Coloring relaxes and renews, sparks ideas, relieves stress, helps work through emotions -- and it's fun! The stunning Flower Mandala illustrations in this just-released coloring book were created by artist Emily Sper from 52 of my Flower Mandala images (http://www.flowermandalas.org) . In her designs, Emily has captured the essence of the Flower Mandalas and translated them into a family of illustrations that invite you to create your own unique works of art, experimenting with form, pattern, shading, and layering in a deeply personal way. 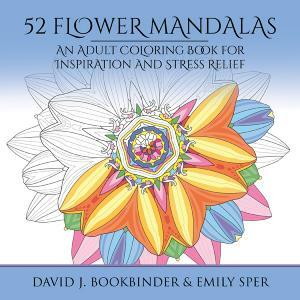 "52 Flower Mandalas: An Adult Coloring Book for Inspiration and Stress Relief" was a collaboration. Now, we invite you to collaborate with us, adding to these illustrations your own unique interpretations. 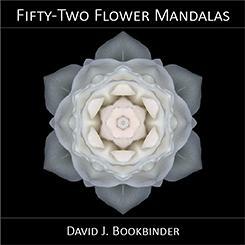 I've recently completed my book "Fifty-Two Flower Mandalas," a distillation of what I've learned so far from psychotherapy, Buddhism, surviving a near-death experience, and 60+ years on the planet. The book is a compilation of my Flower Mandala images paired with meditative quotations and accompanying essays on a broad range of topics. Some examples: Acceptance, Courage, Love, Stillness, Trust, and Will. I did the book as a Kickstarter.com project. I�m now looking for a publisher. There are many ways psychotherapists can help people. We can provide validation, emotional support, help formulate goals, encourage, motivate, identify dysfunctional patterns, devise strategies for overcoming them, and sometimes even inspire. But often, to fully surmount difficulties, there is a decisive moment when will comes into play. Will is what enables us to get up and do it again, raises the apparently defeated fighter from the mat, enables the runner to move out from behind when at the brink of total exhaustion. Will is what keeps us going when everything in us says we can�t. Will is the difference between the triumphant and the failed hero, not only in myth also in our own personal struggles. Will is the key to breaking through what one of my mentors, psychologist Jim Grant, called the "Spell ceiling." Our collections of past injuries, and the mistaken beliefs and patterns we have created to protect ourselves from them, can be regarded as a trance-like Spell. This Spell subconsciously controls much of what we think, feel, and do. Until we awaken from it, it commands us to repeat our patterns. When we increase awareness and act in ways that defy our Spells, they weaken and we get stronger. The Spell ceiling occurs just as the Spell is about to yield. At that point, the Spell � which doesn�t know we don�t need its protection anymore � puffs itself up and, like the Wizard at the end of The Wizard of Oz, tries to persuade us that there�s yet another job for us to undertake. Though we have killed our Wicked Witches, the Wizard tries to scare us into going on another mission anyway because that�s all he knows how to do. But by then we have changed. Just as the characters in the movie have worked through their illusions � the "heartless" Tin Man has shown compassion, the "brainless" Scarecrow has demonstrated his intelligence, the "cowardly" Lion has led the charge, and "homeless" Dorothy now wants nothing more than to return to Auntie Em and Kansas � we have reached the threshold of our true selves without realizing it. It�s not difficult to spot the Spell ceiling if you know it�s there. Old patterns reemerge. In therapy sessions, I hear clients suddenly using words like "overwhelmed," "lazy," and "just": "I just couldn�t make myself do it. I was overwhelmed. Maybe I�m just lazy." People who rarely have problems focusing space out in sessions. Those who have been on time for months forget their appointments. "It feels like I�m going backwards," some of them say. At this critical moment, will must come into play. If we succumb to the Spell now, we lose ground and it resumes its role of puppeteer. If, instead, we muster up our will to resist returning to old patterns, the curtain is soon pulled aside and the Wizard revealed to be merely an old man shouting desperately into a megaphone to bolster the illusion that he still has power. When the hold of the Spell is broken, we are free to redirect the energy we have been supplying to it, fueling our own growth. We have broken through the Spell ceiling, but unlike the Wizard in the film, the Spell has not thrown in the towel. To continue to stay ahead of it, we need to continue to do what got us to the other side. Will is again the tool we need, coupled with awareness. A tool I use with therapy clients to counteract the Spell is the Personal Craziness Index (PCI). Borrowed from the book A Gentle Path Through the Twelve Steps, by Patrick J. Carnes, the PCI provides a way to catalog, in each of ten major life areas, three indicators that remind us how we act when we are Spell-free. Then we track the most significant seven every day. If we are seven-out-of-seven, all is well. If we notice we are slipping back into Spell-influenced behaviors, chances are good our Spell is setting us up for another assault. The preventive is built into the PCI. For instance, suppose that in the "Health" category we wrote that when we are doing well, we go to the gym three times a week, cook our own meals, and sleep at least seven hours per night. When we notice we are skipping the gym, or picking up junk food, or skimping on sleep, we become aware we are drifting out of the behaviors that helped us break our Spells. At this point, we�ve given up only a little ground, and getting back on track is easy: we will ourselves to go back to the gym, cook our meals, make sure we get enough sleep, and the downward slide reverses. By themselves, each of these neglectful acts may mean very little, but as early warning signs, they invaluable. Catching the Spell before it gathers enough strength to pull us under is much easier than breaking through again once we have dipped below the Spell ceiling. The Personal Craziness Index lets us "fake it till we make it" at a fine level of granularity, where the amount of will needed to get back on track is minimal, and the results are evident, often within minutes. As the old saying goes, where there�s a will, there�s a way. Use your will. Take the way. Text and images � 2014, David J. Bookbinder. All rights reserved. Permission required for publication. Images available for licensing. Recently, I had the relatively rare experience of having a movie introduce me to a new way of looking at things. The central idea of Martin Scorcese�s Hugo explicitly emerges midway through the film, but it�s implicit in every frame: Just as, in a machine, there are no "extra" parts, parts without a function, so in the world there are no "extra" people, with no purpose. Each person, like machine component, has a unique place. The trick � because with people it is not as obvious as it is with machines � is to discover it. In my own life, discovering who I uniquely am has been a long and circumambulating journey. I started out feeling as if I were a misfit, the Ugly Duckling who was different from, and therefore inferior to, those around me. I was the shy and introverted one surrounded by extraverts, the would-be intellectual surrounded by would-be athletes, the Jew among Christians. As a boy I avidly read science fiction, and chief among the stories I sought were the ones about mutants. In these fanciful tales, mutants were always persecuted by those around them, but ultimately they turned out to be the next step in human evolution. I hid out in that world, preoccupying myself with fictional explorations of the universe and private science studies, first of rocks, bugs, magnets, and electricity, then later of chemistry, electronics, and rocketry. By 12, I was doing high school science on my own. By high school, I was researching personal projects in the science and engineering library of the University at Buffalo. I knew I was smart in that way, and like the mutants, I vacillated between devastatingly low self-esteem and a fragile grandiosity. Thankfully, beginning at the end of high school, the humanist in me began to emerge, and my focus shifted to the realms of people, literature, and visual art. My adult life has been a gradual and uneven unfolding of talents that were mostly disregarded during childhood. During my late 20s, I lived in a house on the edge of Bedford-Stuyvesant, near Pratt Institute, a school for the arts and architecture. Rick, one of my housemates, was a few years older than I was. He�d been self-sufficient since he was 17 and had walked many walks in his 35 years � the Navy, business, construction, short-order cook, and an assortment of other jobs. When we lived together, he was an architecture student at Pratt. One day, as we sat at the kitchen table, I lamented how disconnected my career seemed. I was a kid scientist turned English major. I was writing, taking pictures, teaching kids art and carpentry, and helping to renovate the house we lived in. It all seemed makeshift and fragmented. Rick had been showing me an architectural model of a conference center he had designed. It was a beautifully executed architectural sculpture. He tapped one of the wooden panels into place. "I felt the same way you did until I found architecture," he said. "Then, everything came together." He smiled and clapped me on the shoulder. "You�ll figure it out," he said. Rick found architecture at 35, and decades later he�s still practicing. It took me an additional 15 years to find my way into psychotherapy, at 50. But in this profession, like Rick, I have found that the meandering threads of my varied careers have come together into a tapestry. Now I see that I�m not the Ugly Duckling, not the mutant, and that my history is not a series of false starts. Instead, I am a late bloomer. In his New Yorker article "Late Bloomers," Malcolm Gladwell contrasts artists such as Pablo Picasso, whose genius was acknowledged early in his career, with those like C�zanne, who did his best work late in life and only then received widespread recognition. "On the road to great achievement," Gladstone wrote, "the late bloomer will resemble a failure: while the late bloomer is revising and despairing and changing course and slashing canvases to ribbons after months or years, what he or she produces will look like the kind of thing produced by the artist who will never bloom at all." Early bloomers hit the ground running, but late bloomers seem to need support as, through trial and error, they discover how to realize their talent. Gladwell describes assistance C�zanne received from other artists and from his father, without which he could never have succeeded. "Prodigies are easy," he explains. "They advertise their genius from the get-go. Late bloomers are hard. They require forbearance and blind faith." Late blooming is a phenomenon that occurs not only with artists, but with anyone whose nature is to discover their purpose through trial and error. As a therapist I often encounter late bloomers. They are men and women who have the potential to achieve much more in their lives than they have been able to, not because they lack the ability, but because their potential was not seen and encouraged. Societal and familial conditions squeeze many of us into shapes convenient for shipping and packaging, but not for optimal growth. Without support, these late bloomers, too, may never bloom. Providing support for blooming, late or early, is one of the chief missions of psychotherapy. Because I have also bloomed late, I turn out to have a set of experiences that is well-suited to fostering the uniqueness of others and to finding the right soil and set of conditions for them not only to blossom, but to thrive. In Scorcese�s film, young Hugo Cabret is the catalyst who helps each of the other main characters find, or re-find, their way. In doing so, he discovers his unique talent. Like Hugo, my lifelong trial-and-error struggle to find the right vocation has equipped me to recognize the uniqueness of others and to help them find their place in the cosmic machine. Although I know little about botany (I resorted to a plant-identification forum in British Columbia to learn the names of the common flowers I made into mandalas), in another sense I have found my vocation as a gardener. Perhaps the greatest fear I run across as a therapist is fear of uncertainty. This fear is great because it is so vague and encompassing. We are uncertain about how people see us; what will happen next in our relationships, the economy, the climate; how a meeting with our boss will go; how our children will do in school, and in life; what will become of us as we age; and many other things, all of them unknowable until they actually occur. And no matter who we are, how we have been raised, how rich we have become, how healthy we seem to be, how good our genes are, how much we know, or how much power we have, we are all uncertain about our own end � when it will occur, what will cause it, whether we will suffer, what will happen afterward, how we will be remembered. The only thing we can really be certain of is uncertainty. As Bob Dylan once put it, "There is nothing so stable as change." Some of us manage uncertainty by replacing it with certainties. We are like Boy Scouts, whose motto is "Be prepared." In the worst case, we are catastrophizing, always on yellow alert, apprehensively anticipating negative outcomes, hoping to avoid being blindsided, should one of them occur, unable to fully enjoy what is happening now. Often, however, this approach makes good sense. My father, a former Boy Scout leader, lived by this credo. For him, it took the form of having duplicates, and in some cases triplicates, to make sure the devices in our house kept running. We had a sump pump to keep the basement dry in the event of a flood, a backup sump pump in case that one failed, and a backup of the backup � just in case. Stacked beside the workbench were two or three extra motors for the washing machine and the dryer, and shelves overflowed with duplicate faucets, belts, hoses, clamps, fasteners, TV and radio tubes, and a plethora of other spare parts. We could have stocked a small hardware store with the backups and the backups of the backups, few of which ever actually saw any use. Or maybe we follow the popular proverb, "Hope for the best but expect the worst." We have a positive attitude, but we also try, as best we can, to be ready should disaster strike. We save for a rainy day and for our retirement, tape our windows in anticipation of hurricanes, back up our computers, put our valuable documents in safe deposit boxes, buy batteries and bottled water when the forecast calls for snow, invest for our retirement, get long-term care insurance, keep our spare tires inflated. In the 60s, we built fallout shelters, stocked school basements with C rations, and learned to duck under our desks and cover our heads, when the air raid sirens sounded. But what do we do about the things we can�t prepare for? Or the "worsts" we could never anticipate? One approach comes from the Romantic poet John Keats, who described what he called Negative Capability, "when a man is capable of being in uncertainties, mysteries, doubts, without any irritable reaching after fact and reason." Negative Capability neither assumes nor anticipates the best or the worst, but instead recognizes that most things cannot be known in advance and sees them, as one friend puts it, as "don�t knows." Since I first ran across the concept as a college sophomore, Negative Capability has played out in many arenas. My most vivid experience of Negative Capability occurred during a near-death experience in 1993. I found myself in a condition of becalmed waiting � to live, to die, or to move on, accepting each possibility with equanimity. This equanimity occurred without any effort on my part; it seems to be how we are programmed, biologically, to deal with the possibility of imminent death. Getting to Negative Capability on a daily basis, however, has been a more difficult endeavor. What has helped most is taking a different spin on the Boy Scout motto: To be prepared not by attempting to anticipate all possibilities, or by having multiple contingency plans, or by hoping or expecting any particular outcome, but by learning to trust that whatever happens, I can handle it. In my work as a therapist, Negative Capability is a way to consciously open to, and counteract, the fear that I might be unable to deal with what clients bring into the room. A key, for me, has been to persuade myself that I like surprises. Liking surprises began when I was a client myself. I had recently returned to the Boston area from Albany, NY, and had started seeing a therapist to sort out the many bewildering changes I�d been through following the near-death experience. My girlfriend, who was still living in Albany, came to visit on a day I was scheduled for therapy. I asked the therapist if I should let him know if she�d be accompanying me to our session. "It doesn�t matter," he said. "I like surprises." In that moment, I realized how much I didn�t like being surprised, how hard I worked, still, to be a good Boy Scout � and how liberating liking surprises must be. "I like surprises" became a new set of clothes I wanted to grow into. My first counseling internship was at MassArt, a college for artists. I had only one counseling psychology class under my belt when I started, but I had assumed I�d mainly be dealing with familiar problems, such as roommate conflicts, creative blocks, relationship issues, academic troubles, drugs and alcohol. But I quickly discovered that my young artist clients were far more complicated and that it was impossible to predict what they might bring to a session. Although these simpler problems did show up, I also encountered suicidality, psychosis, the aftermath of a murder, personality disorders, and many other serious problems I was not trained to work with. "I like surprises" helped me � and continues to help, today � to remain in "uncertainties, mysteries, doubts" without pushing the panic button, and to confidently assure clients that "we can sort this out," even when how to do so was completely unclear. Over time, Negative Capability has fostered a sense of competence in dealing with the unknowable, an increasing adaptability that accompanies my fearful self into uncertainty like a wise and trusted friend. I still don�t always like surprises, but I have grown more at ease with the knowledge that everything is a "don�t know" until it happens. When I was in Boy Scouts, we all had to memorize the Scout Law: "A Scout is trustworthy, loyal, helpful, friendly, courteous, kind, obedient, cheerful, thrifty, brave, clean, and reverent." Even back then, it seemed significant that "trustworthy" was first on the list. Trust, as an admirable quality, shows up all over the place. When I ask clients to name the five characteristics they most want in a relationship, trust appears on their lists more often than anything else. We want to trust our lovers, our leaders, our judgement, our gut and, says an inscription on each coin of the realm, our God. We come out of the womb trusting implicitly, but according to pioneering developmental psychologist Erik Erikson, we begin to question trust as early as our first year of life. Violations of trust teach us to distrust. When our trust has been betrayed, we often feel great pain, and we set up guardians to protect us. If the drive to reconnect is strong enough, we can sometimes overpower our guardians, especially when those who have betrayed us apologize, make amends, and reassure us that it is safe to open our hearts to them again. But these guardians are difficult to retire. Many of us keep them in our employ for the rest of our lives. And if we have allowed ourselves to reconcile, and then trust is violated again, future trust is jeopardized, perhaps permanently. "Fool me once," the guardians say, "shame on you. Fool me twice, shame on me!" For example, when an addiction or an extramarital affair finally comes to light, those most deeply affected feel betrayed and deceived: "How could he/she have lied to me for so long?" Trust is lost. Sometimes it can be regained, but if the betrayal � a relapse, resumption of an affair � resurfaces, it may no longer be possible to repair the ruptured relationship. However, that�s not the worst of it. When we have been betrayed multiple times, we come to distrust not only our betrayers, but also our own judgement: "How could I have been that blind?" And with our truth-detecting algorithms offline, trust itself becomes problematic. Distrust learned in one situation is often paid forward to many others and we can become locked into self-fulfilling patterns that convince us of the ever-present need for these guardians. Our wound becomes a shield around the heart, complete with a defense system that strives to keep out threats, often at the cost of real connection. Worse, the guardians are not always efficient. We may continue to attract new relationships with untrustworthy people, or we may project untrustworthy qualities onto those who might actually deserve our trust. Each time our patterns recreate experiences of distrust, our guardians grow stronger. We can reach a point where we so identify with our guardians that distrust becomes the norm. We can find ourselves hiding our hearts from everyone. Nearly two centuries before Erik Erikson�s observations on trust in human development, the radical Romantic poet and illustrator William Blake depicted the passage from an innocent child-like trust into embittered distrust in his books of poems Songs of Innocence and Songs of Experience. With their sweet round mouths sing "Ha ha he!" To sing the sweet chorus of "Ha ha he!" In his later works, Blake portrays a synthesis of Innocence and Experience that reclaims Innocence, transcending the effects of disappointment, mistreatment, and betrayal. Blake scholars call this state "Organized Innocence." Organized Innocence cannot be shattered by Experience. In Organized Innocence, we can feel the joy of "Ha ha he" even in the face of the darkness inherent in the human heart. Blake was an early influence on me. Little did I know, when I read him as a college freshman, that I would traverse the path from Innocence through Experience not only once, as most of us do, but also a second time. One effect of a 1993 near-death experience was that I was not only resuscitated but also, effectively, re-conceived. On a physical level, the conditions during major surgery echo conditions preceding birth. In the operating theater, as in the womb, I was hooked up to apparatuses that circumvented built-in mechanisms: one tube supplied oxygen, another nourishment, and another removed waste. In the ICU, and later in the hospital room, I increasingly gained independence from these supports, a mobilizing trend that continued after I was released from the hospital, where, as in infancy, I again was put into my mother�s care. More important, however, was the repetition of psychological stages of development that seemed, in my case, to have been a direct consequence of the near-death experience. Though I still retained the memories of my former self, in many ways I felt like a completely new, unscripted person, one for whom none of the rules learned in my prior life necessarily applied. As I progressed from second infancy to second adulthood, I fast-forwarded through many of the emotional conflicts I had experienced the first time around: needing my mother, competing with my father for her attention, struggling for his respect and, later, searching for what to do with my life when I "grew up." For the first two or three years following my near-death experience, I re-inhabited an Innocent state. I was much more open than I had been before, but in a childlike way. Whatever filtering mechanisms I had developed in my previous incarnation were dissolved; I could not lie or hold back my feelings. As a result, everything seemed fresh and new � "Ha ha he!" But Innocence reincarnated also removed self-protection and discernment, and I allowed dangerous people into my life. Some examples: I was easily seduced into a relationship with a pathological liar; befriended a man who turned out to have a 30-year history of sociopathic behavior; and trusted my medical malpractice trial attorney as he was setting me up for robbery. In the years since then, I have gradually reached what feels like my chronological age, and things are different this time around. Although I have experienced betrayals and disappointments, a resilient optimism � a "Ha ha he!" � has arisen in me, and I don�t see it leaving. As my scope of understanding broadens and deepens, I increasingly see light in the darkness and darkness in the light, the union of opposites Blake believed was essential to attaining Organized Innocence. Going through emotional infancy, childhood, adolescence, and on to late middle age has provided an unusual perspective to my work as a therapist. The process of rapidly and consciously transitioning through Innocence, Experience, and into the early stages of Organized Innocence has made it possible to recognize these stages in my clients, and sometimes also to shepherd them along the path toward their own Organized Innocence. T.S. Eliot once wrote, "What loneliness is more lonely than distrust?" When I ask people who seem isolated by their distrust how they determine who is trustworthy, they can�t give me an answer. They�ve been burned so many times they have given up trying. Sometimes, the first trusting relationship they have as adults is with me. Attaining a healed, resilient state akin to Organized Innocence is one of the main goals of psychotherapy, and it can only occur in the presence of trust. Trust! Trust! Trust! is my fundamental therapeutic motto: Trust myself, trust the client, trust the process. Establishing this three-way trust is the first directive of psychotherapy. Without it, healing in relationship is unlikely to occur. In therapy, clients experience what it is like to have a truly collaborative and authentic relationship, where each side honors the true nature of the other, and where a container is built by client and therapist inside which conflict can safely occur without jeopardizing the relationship. In my first meeting with a client, I let him or her know that I view therapy as a collaborative process, and that it is important to tell me if I�ve done something that angers or disappoints them. Either I have actually done or said something potentially harmful, in which case a corrective response from me is essential, or the client has inaccurately perceived what I did or said as intending harm, in which case clarifying what is real from what is projection or misunderstanding is equally essential. In either case, I let them know I will take responsibility both for my part in any conflict between us and for staying with the process until we can work it through. Over time, clients begin to extend trust to other relationships. As they come to recognize the signs of a trustworthy person, they form more durable connections with those worthy of trust and build stronger boundaries to protect them from those who are not. Clients, too, learn to Trust! Trust! Trust: Trust themselves, their own processes of discernment, and those they care about. Thus, the shell of distrust born of Experience can be remodeled. Instead of a monolithic defense that continually strengthens its protection against relationship, it can morph into a semi-permeable membrane, allowing in those who are trustworthy, filtering out those who are not. When that capacity is realized, Organized Innocence can follow. Copyright 2013 David J. Bookbinder. All Rights Reserved. Helen Keller once said that the world is full of suffering, but also of the overcoming of it. But it is also full of suffering that is unrelieved. I have thought about suffering most of my life. When I was much younger, I wanted to be a psychotherapist, but I didn�t think I could bear the suffering of 20 to 30 people each week. So instead I became a writer and teacher. By the time I reached my 50s, however, I�d had my fair share of suffering, both situational and self-inflicted. Because of what I had endured, I was no longer afraid to bear the suffering of others, and I began my training. In this profession, I see, and empathically experience, a wide variety of misfortunes and maladies. In any given week, the forms of suffering I might witness include anxiety, depression, abuse, neglect, illness, financial collapse, addiction, poverty, loss, death, relationship struggles, shame, jealousy, rage, loneliness, disappointment, despair, hopelessness, and, potentially, suicide, as well as an equally wide range of self-inflicted pain that replicates problems from the past. Sometimes I am able to help transform this suffering. Sometimes, all I can do is feel and accompany it. There are many kinds of suffering that I cannot relieve. I cannot undo the traumatic events of the past, much as I might wish I could. I cannot remove the anguish caused by loss. I cannot alter biology. I cannot erase the recognition that everything we love, everything we know, will ultimately crumble to dust, and that dust will be dispersed, and even the dust will eventually disappear without a trace. Although all of this is obvious, what may not be as apparent is that my helplessness is itself a source of pain. As an antidote, I remember a quote by Gandhi that my first internship supervisor posted on his door: "Whatever you do will be insignificant, but it is very important that you do it." I think of suffering I have endured, and how the difference between bearable and unbearable was almost always the presence of someone who cared, who I knew was willing to ride along with me no matter where my suffering led us. I think, too, of great humanitarians such as Mother Theresa, who would pass through crowds of thousands whose suffering she could not hope to alleviate, but whose bearing witness to it still made a difference. "I am a deep listener, committed to following my clients as they ride the sometimes smooth, sometimes roller-coaster-like pathways of their lives. I sit beside them, a true companion on their trip for as long as they wish me to be their therapist. I feel � and hope to generate � a sense of deep acceptance, as if I am extending a force field around them, providing a taste of what it is like to be loved, seen, protected, and empowered." 1. Physical suffering caused by congenital infirmities, injury, disease, and aging. 2. Suffering caused by difficult circumstances. 3. Self-inflicted suffering caused by our reactions to the conditions of our lives. 4. Suffering caused by sensing that things are seldom fully as we hope them to be, that even those that are cannot stay that way, and that ultimately all of it ends when we die. I find I can only occasionally help with the first two forms of suffering, physical and circumstantial. Sometimes I can sense when a psychological problem might have a physical origin and can persuade a client to get medical help. Sometimes I can help a client strategize a way around or out of difficult circumstances. But with the third type of suffering, however, I can often have more sway. I can help people cope with things they cannot change, either in their pasts or in the present. I can help them learn to accept whatever limitations and losses they have experienced. I can help them develop new skills for managing their emotional states, for responding differently in relationships, and for actualizing potentials that have lain dormant within them. I can help them find allies, separate from detractors, and break out of dysfunctional patterns that heretofore imprisoned them. Through all of this, I can also help them become more resilient, so that when the next blow comes, though they may not be able to avert it, the impact is more easily endured and its suffering, eventually, overcome. Compared to the magnitude of the world�s suffering, what I do may be insignificant, but in the lives of the people I am able to touch, I can see that it is important that I do it. At the end of most days I feel I have fostered some good that might not otherwise have occurred. This gives both an easement of, and a meaning to, my own suffering, without which I may never have attempted this work. I know that understanding suffering will be a lifelong endeavor, but these are some things I have learned that will, I think, stay true for me until the end. I�ve come to see that self-inflicted suffering is the most persistent. I have witnessed amazing triumphs over many kinds and degrees of physical and circumstantial suffering. As a species, we seem well equipped to bear pain, poverty, adversity, illness, injury, and losses. Paradoxically, the less tangible suffering is what many of us find most difficult to endure, the suffering created within our hearts and minds. A decade ago, I lost to suicide a close friend who, like me, had nearly died about ten years earlier. Left for dead on a cot in a small hospital in a remote area of Thailand, he suddenly showed signs of life and was airlifted to a major hospital in Bangkok, where he slowly recovered. His spinal cord, however, was seriously damaged, and the accident left him quadriplegic. Unwilling to accept paralysis as his fate, he demonstrated heroic resilience, eventually regaining most of the use of first his hands and arms, and then later his legs. By the time we met, although he walked with the aid of a cane, he had regained most of his ability to function. But when he reached the limits of his physical recovery, he began to relapse into old patterns of addiction, hopelessness, and despair, and ultimately took his own life. His despair seemed rooted not in the physical pain and limitations of his unhealable injuries, but in his realization that this was all he was going to get back. He saw his injured self as fallen, bereft of the qualities he valued most in himself � his appearance, his agility, his ability to make beautiful things with his hands. These would not return, and he could not bear the thought of continuing without them. In my own life, the most trying forms of suffering have not been life-threatening illnesses or being a crime victim, but rather emotional and psychological ones: recurrent feelings of loneliness, fear, depression, shame, and anxiety, among others, often dating back to early childhood wounds. I don�t mean that we can never be happy. Far from it. Or that much of our suffering cannot be avoided or mitigated. Far from that, too. But it seems important to remember that none of us is likely to be spared the suffering of illness or the loss of a loved one or a difficult turn of fortune, and that nobody escapes death. Attempts to avoid all suffering often add to anxiety about potential loss, or frantic efforts to make things that are already changing stay the same, or to striving for "perfection" when "good enough" is something to be grateful for. The most startling example is denial of death. As a people, we seem increasingly preoccupied not only with looking and feeling younger than we are, but also with extending health and life indefinitely. Google, for example, recently announced a new medical company called Calico whose aim is to take on aging itself. Ray Kurzweil, pioneer inventor in the fields of optical character recognition, text-to-speech machines, speech recognition, and music synthesizers, is now devoting his life to extending it. By taking advantage of a series of existing and projected advances in technology, he hopes to live long enough to be successfully frozen, and then, ultimately, to "upload" his mind into a non-biological brain, outrunning death itself. But is "more" life actually "better"? I have often pondered this question. One outcome of my 1993 near-death experience was the visceral understanding, just before I blacked out, that all lives, regardless of their lengths, are lives, just as all books in a bookstore are books, and all of them are complete. Had I died at 41, my life would have been a shorter but still complete one. If I live to twice that age, my life will still be, only a single completed life. Despite 50 years of reading science fiction, the notion of living forever appeals only to my sense of curiosity: I want to know what happens next. But I can let that one go. There is a purposefulness to entering this final stretch of my life that is enhanced by a growing awareness that I will not return from my next experience of death. The low-level sense of dissatisfaction that comes from awareness of mortality, I believe, can be alleviated not by striving for immortality, but by accepting that this is how things are. Some cultures teach that we should be grateful to suffering because of what we can learn from it. I am not yet there. But I do not believe that suffering imprisons us. We are all suffering somehow, but there is nothing unfair about that. As the Buddhists say, this is the nature of samsara, the endless cycle of birth, suffering, death, and rebirth. So it goes. Text and images � 2013, David J. Bookbinder. All rights reserved. NOTE: The opinions expressed in the following joke do not represent those held by The Management. Should he tell his partner? Each action we take, or don�t take, says something about who we are and who we are becoming. And yet, though most of us understand this even as children (Santa Claus "knows if you've been bad or good, so be good for goodness sake! ), making the right choice can sometimes be elusive despite our best intentions. Conscious choice is toughest when we are acting out our patterns. Truisms seek to guide us. "Doing the same thing over and over again and expecting a different result," we are told by helpful friends and family, "is insanity." Or our buddies may remind us, sagely, that "If it ain�t broke, don�t fix it." I find myself often borrowing this one from Solution-Focused therapy: "If something�s working, do more of it. If it�s not, do something else." These are all useful reminders that we have choices, and we utter them to try to help each other deal with the frustrations and difficulties of making wise ones. Sometimes, a reminder is all we need to shake things up and change what needs to change or to hold back from tinkering with what�s been working fine. More often, though, a simple reminder, no matter how well-intended, is insufficient. Our patterns strive diligently to limit our choices to those they already know. They can�t help it � they�re just patterns, and that's what patterns do. When our patterns are working well for us, that�s great. But when we are stuck in a dysfunctional loop, our patterns still tirelessly reassert themselves despite our best efforts to circumvent them. Some of our patterns are instilled early in life by the surrounding culture, others we create out of our experience in our families, neighborhoods, and schools. These cultural and personal patterns are deeply inscribed, and they usually take more than awareness to release. According to a recent study, changing even a simple habit takes about nine months of consistent effort. Altering the more complex patterns we develop over a lifetime is harder. The magnitude of change is similar to an operating system upgrade on a computer; a lot of old code needs to be debugged or rewritten. Inherited cultural patterns, such as racism, sexism, xenophobia, and other forms of prejudice, often resist change for a lifetime. Though it may help us alter our behavior, telling ourselves not to think poorly of those we were raised to believe are "other" is seldom enough to unseat deep-rooted beliefs and emotions. Often, we have to examine the roots themselves, find support for changing our feelings, ideas, and attitudes, and act repeatedly in an unbiased fashion, sometimes for a very long time, before the prejudice itself dissipates. Patterns we have learned in childhood about ourselves and our relationships with others are also surprisingly durable. These patterns typically become embodied in an internal critic that rigorously enforces its rules, relentlessly setting obstacles in our path to prevent us from deviating from the pattern�s instructions even when our conscious minds tell us they serve no useful purpose or, even, are harmful. Here, too, awareness is a necessary first step, but we also need to sense deeply into our established programming and to consistently reinforce new thoughts, feelings, behaviors, and beliefs. Although we often have little or no say in the cards we are dealt � we cannot control the circumstances of our birth, and good and bad fortune happens to us all � we do have a say in how we play those cards. When I look at my own life, I still see patterned repetitions that reach back decades, despite diligent efforts to alter them. I react to triggers knowing that they are triggers, make questionable choices knowing that they are questionable. As a therapist, it�s galling to see my own patterns continue to unfold, internal/infernal machines that seem to run as efficiently and effortlessly as the day they came off the production floor. "I should be able to do better than this!" I moan. But I also see consistent progress in altering previously intransigent patterns, and I note with pleased surprise that I have even completely replaced old, dysfunctional patterns with new, much-improved models. In itself, that�s gratifying, and it also reminds me that the remaining dysfunctional patterns can also yield, if only I persist. Psychotherapy is a marvelous laboratory for repatterning. Over time, I see my clients acting out some patterns, breaking others, vacillating between repeating and reinventing just like I do. Sometimes they feel as if the struggle to make different choices will never end, and then there is a breakthrough followed by consistent change. More often, I see a slow accretion of better choices, interrupted by ever briefer relapses into old ways of feeling, thinking, and behaving. That�s how lasting change seems to occur: a little here, a little there, a little forward, sometimes a little back. One choice at a time. The good news is that even when we feel trapped in our old patterns, helplessly watching ourselves play them out, we still have choice. We can remain unaware, or we can adopt practices and attitudes that raise our awareness. We can go it alone, automaton-like, or we can seek the help we need to move into more alive territory. We can choose to remain asleep or to gradually awaken and, once awake, to resist hitting the snooze button and stay out of bed as long as we can manage. Even when we appear to be locked into difficult circumstances, we can choose how we respond to them. Do we sink into depression or despair? Do we become entrapped in victimhood? Do we struggle (valiantly!) against truly impossible odds, only to fall into despair when we inevitably fail? Or do we find a way to re-center ourselves, reassess, accept our situation for what it is, and select the best options available to us? Momentary choices � "Should I tell my partner?" � may define us in that moment, but breaking our patterns, and thereby freeing up our deepest blocks and releasing our fundamental sources of empowerment, helps us make choices that reflect our core selves � and not only in that particular moment, but also, with increasing reliability, in each succeeding one. This process is often slow and unsteady. Now in my early 60s, I still sometimes hover at the threshold of change, uncertain in which direction to turn. Yet at the same time, I also continue to more deeply sense parts of myself that have been waiting for a lifetime to be consulted, heard, and acted upon. And when these parts awaken from their lengthy slumber, the effect is as breathlessly stunning as the sun rising on a brand new day. At a meditation retreat I attended years ago, I was introduced to the concept of the Mindfulness Bell. At apparently random times throughout each day, a monk or nun would sound a bell, and we all had to halt what we were doing and take three slow, deep, abdominal breaths. We stopped in mid-sentence, mid-stride, mid-chew, as if we were in an enormous game of freeze tag. At first I found this annoying: I was in the midst of spiritual evolution, damn it. Stop interrupting me! But before the retreat came to an end, I learned to value and to embrace these "interruptions." In my first counseling internship a few months later, I worked with a young college student whose list of mental health and life problems was long and troubling. She heavily abused alcohol, moved from one destructive relationship to another, was grieving her parents� ugly divorce and her own traumatizing childhood, and was coming to grips with her father�s alcoholism. Also, because she had no financial support, she worked long hours at a restaurant where drinking and drugging on the job was the norm. She was depressed, angry, anxious, lonely, and uncertain of her future. Her tendency was to bring up as many as 10 problems in any given session, and to comment critically on nearly every therapeutic intervention I tried. She often spoke negatively of her four previous therapists, and I realized I was on the road to becoming idiot therapist number five. In a moment of new-therapist desperation, I handed her my watch at the start of a session and asked her to be still for one full minute. Only after the second hand completed its appointed round could she begin the session. What ensued was very different. She spoke more slowly, stayed with one topic, and dug deeper. We were, we both realized, actually doing therapy! After that, we started each session with my handing her my watch. A couple of weeks later, she brought her own watch. A few weeks after that, she didn�t need it. To replicate the watch effect in her outside life, I taught her the three-breath-meditation I had learned at the retreat, instructing her to treat any bell, beep, or other sharp sound she happened to hear as if it were the Mindfulness Bell. Over the next few months, we worked through many of her issues. By year�s end, she had quit her waitress job, stopped using drugs and alcohol, was starting to set better boundaries with her parents, and was finding other adults to mentor her. She was back on track academically and exploring new veins of artistic creativity. In our parting session, I asked her what, of all we had done together, had been helpful. I was expecting, I suppose, to be thanked for my brilliant insights and clever use of the Gestalt and Solution-Focused therapeutic techniques I had been trying out, and I had prepared myself to deliver a falsely modest, "Oh, I just helped a little. You did the work." So I was surprised when she replied, "That thing with the watch. And the meditation thing. That�s what really helped me." Learning to be still in the midst of the chaos of her life had permitted her to re-evaluate her choices. Each time she paused for three slow breaths, she had a chance to feel her feelings, check in with her intuition, and rethink what she was about to do. Stopped at a street corner on the way to work, hearing the Mindfulness Bell of a car horn, she could think, "I don�t really want to waste my time partying tonight." On the first ring of her cell phone, about to leave for a bar, she could see how the evening would play out and decide, "Not this time." Hearing the "bell" of a fire engine siren in the midst of pangs of guilt about her past, she could choose to forgive herself. When the school year came to an end, along with my internship, she asked if she could continue to see me as her therapist. My supervisor had no objections, so I sublet an office in neighboring Brookline on Sunday afternoons, where she � and, eventually, several of her friends and their friends � became my first private clients. I continue to suggest to clients practices that create stillness and also to use them myself. When I step into my office, I stop for a moment and imagine myself putting on an invisible jacket worn only by my best self. Brief meditations throughout the day help me shift gears between clients, return to center when I�m knocked around emotionally, and reinhabit that best self. I recommend ways for clients to find stillness, even if only for a minute, so they, too, can interrupt their habitual thoughts, feelings, and actions, and consider other options. In some ways, the brief stillnesses that happen throughout the day, in media res, seems more powerful than daily sitting meditation. They are meditations with eyes wide open, fully in the world, yet at the same time rooted, and each provides a touchstone wherever we are, whatever we are doing. Copyright 2013, David J. Bookbinder. All Rights Reserved. In solitude, we can inhabit our deepest selves, feel intense spiritual connection, and experience self love. Or we can dwell in their contraries, finding only disconnection, despair, and self-hatred. Solitude, my refuge as a boy, felt like imprisonment for much of my later life. From my last year in high school and through my 20s, I struggled ceaselessly to avoid it. I structured my life to reinforce connection. I hitch-hiked across the United States and Canada to force myself to ask strangers for rides and places to stay. I lived with roommates so that I was seldom really alone. I made arrangements to meet friends for meals and a movie even when I could afford neither and was living mainly on brown rice and omelets. I found work as a reporter to force myself to interview strangers, and as a teacher to push myself out of solitude and into connection with my students. E. M. Forster�s �Only connect!� became my motto, and without frequent connection, particularly intimate connection, I often collapsed into despondency. Solitude became a necessary evil. The time I spent writing, although absorbing, was time subtracted from connection. I became one of the pioneer users of telephone answering machines (in those days, bulky reel-to-reel tape recorders) because I did not want to risk missing a call, an opportunity for connection, while I was out researching a story. My fear was that if I spent too much time by myself, I would revert to an isolated child again, not only alone but also lonely. I had found connection, and I didn�t want solitude to take it away. Through my 30s and beyond, I became more tolerant of literal time alone, but I still dreaded periods between intimate relationships and tended to stay in them even when it was apparent that the center did not hold. I couldn�t bear the thought of spending weekends only in my own company or scrambling to make plans with friends, each hour of contact like an oasis in a desert of disconnection. Worse, still, was the ever-present sense of having nobody to share my life with, day by day. I noticed, however, that a different paradigm seemed to apply when I traveled. Although I was not, strictly speaking, �alone� on my hitch-hiking and motorcycling trips, I was only rarely accompanied by a traveling companion, yet only rarely did I feel lonely. In my late 20s and 30s, I took solo train treks through Europe. Most of that time, though when I did encounter people I could seldom even speak their language, I seldom experienced loneliness. Why, I wondered, was solitude not an issue when I was on the road? More puzzling still was my most extreme period of aloneness, the near-death experience I had in 1993. In the experience itself, though I was isolated even from memories, sensations, and my own identity, I felt more connected than ever before and � beyond any meditation or psychedelic experience, beyond even passionate love � completely whole and at peace. Some of this sense of connection carried through in the months of recovery, when I was often physically isolated but never, somehow, really alone. Theologian and philosopher Paul Tillich wrote: �Loneliness can be conquered only by those who can bear solitude.� For the last 20 years, I have been attempting to solve the mystery of these exceptions to the loneliness of solitude and thereby, I hope, to achieve connectedness in solitude and in the world outside. I see now that my fear of solitude was that I�d never be connected again. When I traveled, I knew that I�d eventually meet someone on the road, or I�d stop to visit briefly with a friend along the way. These points of contact were places from which I could launch myself into the unknown with excitement, much as a child with a secure attachment experiences his caregiver as a �home base� from which he can venture forth, knowing there will always be someone to welcome him when he returns. Over time, the insecure child in me has come to understand that he, too, has places that will always welcome him. Most recently, the Buddhist sangha has become a home base � a place where I know I will always be warmly accepted, and that I can count on when I return from the week�s adventures. I'm also finding activities that combine solitude with connection increasingly appealing: group motorcycle rides, meditating in the sangha, watching movies with friends, being with a partner while each of us does our own activity, occasionally sharing a glance, a comment, a smile, a touch. Inside each of us is the seed of an empathic connection with everything. Thich Nhat Hanh calls this ever-present interconnectedness �interbeing� and talks about how everything �inter-is� with everything else. Understanding how connection transcends physical separation alters the nature of solitude. Fully embracing interbeing is still a work in progress for me, but as I�ve become increasingly comfortable in my own skin, solitude has become a more quiescent place to be, and �alone� a condition that is no longer lonely. My friend Susan once remarked, �David, at least when you�re alone, you�re with a good person.� In the near-death experience and its immediate aftermath, I was strongly linked to a Self that was never far away. When I remember Susan�s statement, I smile inwardly to that Self, accept solitude, and feel my heart shift.